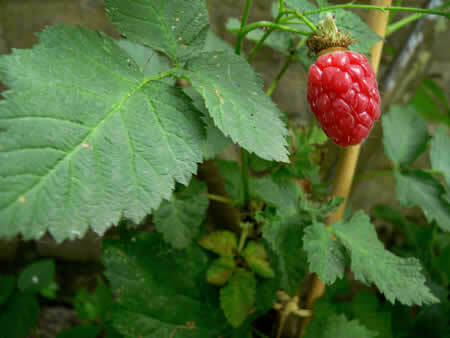 Tayberry is a cross between a Blackberry and a Raspberry. It is named after the river Tay, in Perth, Scotland, where it originally grew. Stems have small thorns as found on Raspberry stems. It has large fruit 5cm X 2cm. Delicious berry flavour.